The new BMW M5 Competition high-performance sedan is coming to Australia in October. Featuring a more powerful engine, upgraded suspension, wheels and tyres and even engine mounts and is aimed at giving a driving experience for those very serious about their high-performance motoring. BMW has measured the new M5 Competition’s zero to 100 km/h sprint at just 3.3 seconds. Should you be on an unrestricted road the accelerative urge sees it get to 200 km/h only 10.8 seconds after leaving the line. Power is taken to all four wheels via an eight-speed M Steptronic transmission with three modes: Efficient, Sporty and Ultra-dynamic. As well as lowering the vehicle by seven millimetres, the model-specific chassis tuning also includes tweaks to the wheel suspension, springs and dampers. Lightweight M with fixed six-piston calipers clamping on inner-vented discs are used at the front, at the rear a lightweight, floating single-piston calliper is used. Forged 20-inch wheels are fitted as standard to the BMW M5 Competition. With a bi-colour, Y-spoke design these strong, light forged alloys are exclusive to the model. The 20-inch forged wheels are shod with mixed-size tyres measuring 275/35 R 20 at the front and 285/35 R 20 at the rear. Model-specific design features include BMW Individual high-gloss Shadow Line trim is complemented by sporty high-gloss black for the kidney grille surround, the decorative mesh of the signature BMW M gills in the front side panels, the trim for the rear bumper covering, and the exterior mirror caps. 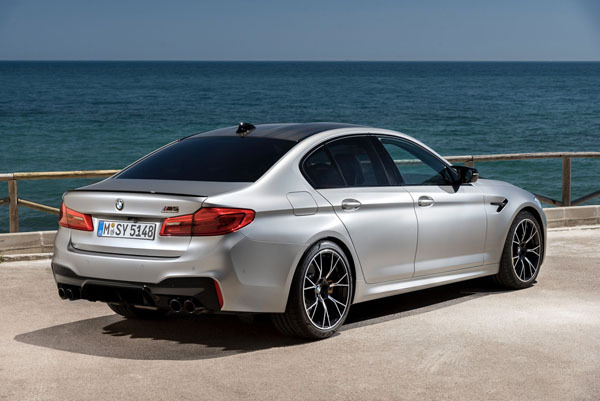 The rear spoiler and “M5” boot lid badge – which gains “Competition” lettering – also come in high-gloss black. Inside the Competition is an “M Competition” graphic that appears in the instrument cluster when the engine is starting up. There are stripe designs in BMW M GmbH colours for the seat belts, plus floor mats with piping and “M5” logo. 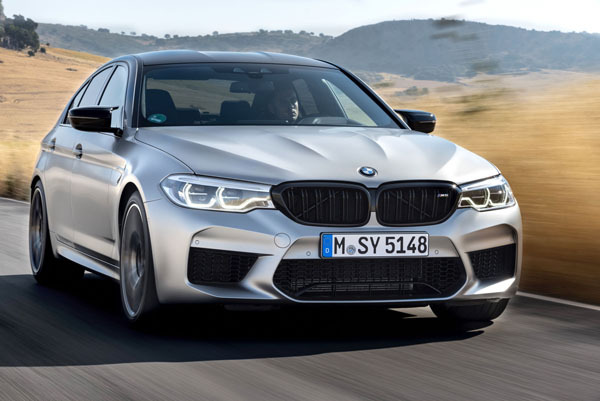 BMW M5 Competition is due in Australia in October at a recommended retail price of $229,000 to which on-road charges have to be added. 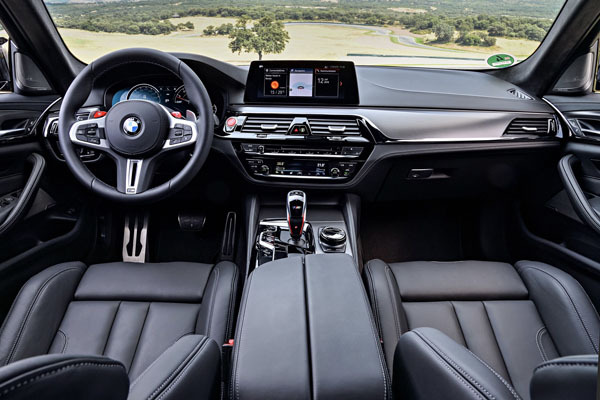 Final local specifications have yet to be announced but it might be an idea to call your local BMW contact very soon as it’s likely all will have been pre-sold.